“Industry revolution is the product of strategy innovation? 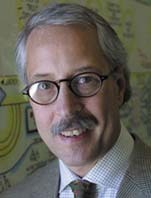 게리 하멜(Gary Hamel) 런던 비즈니스 스쿨 교수. 전략 연구기관인 스트래터조스(Strategos)와 우드사이드 연구원의 창립자이기도 한 그는 전략 부문의 세계적인 대가로 꼽힌다. 경영 구루로 통하는 피터 셍게 MIT 교수가 그를 서구사회에서 가장 영향력 있는 전략 연구가로 꼽았을 정도. 그의 주요 저작에 실린 발언을 발췌해 실었다. ●We have reached the end of progress. Incrementalism is no longer enough. In the new economy, the companies that create new wealth are truly revolutionaries. 우리는 마침내 종착역에 도달했다. 이제 지식을 축적하는 것만으로는 충분하지 않다. 신경제 하에서는 새로운 부를 만들어내는 기업들이야말로 진정으로 혁명가들이다. ●They fearlessly challenge the old guard, and they amaze their customers with products and services that could scarcely have been imagined a few years earlier. 그들은 시장의 강자들에게 겁 없이 도전한다 그리고 자신의 고객들을 불과 수 년 전만 해도 상상하기 어려웠던 제품이나 서비스로 놀라게 만든다. ●Company that is not an industry revolutionary is already on the road to insignificance. 혁신적인 변화를 꾀하지 못하는 기업들은 곧 사람들의 뇌리에서 잊혀질 것이다. ●Industry revolution is the product of strategy innovation. 산업 혁명은 전략적 혁신의 산물이다. ●In an increasingly non-linear world, only non-linear strategies will create new wealth. 세계는 점차 비선형 구조로 바뀌어 가고 있다. 비선형 전략만이 새로운 부를 만들어낼 수 있는 까닭이 여기에 있다. ●Strategy innovation is the only way for a company to renew its lease on success. ●Building a deep capacity for strategy innovation requires a company to imbue its employees with new passions. 전략적 혁신 역량을 키우기 위한 방식은 간단하다. 피고용자들에게 새로운 열정을 불어넣는 것이다.